The more I learn about the health benefits of beets, the more I want to incorporate them into my diet. So I when I saw, Kelly’s Roasted Beet Hummus I set off to make it. It is really simple to make and it’s a very creative and delicious way of incorporating beets into your diet. Nitrates —> Nitric Oxide : the body converts nitrates in beets and converts them into nitric oxide. Nitric oxide, helps to relax and dilate blood vessels, which improves blood flow and helps to lower blood pressure. Bodybuilders and athletes seek to boost nitric oxide levels, the more blood flow you can get to muscles the harder they can work and the better results you can achieve. (Also plays a role in recovery). when broken down toxins are bound to other molecules so they can be excreted from your body. 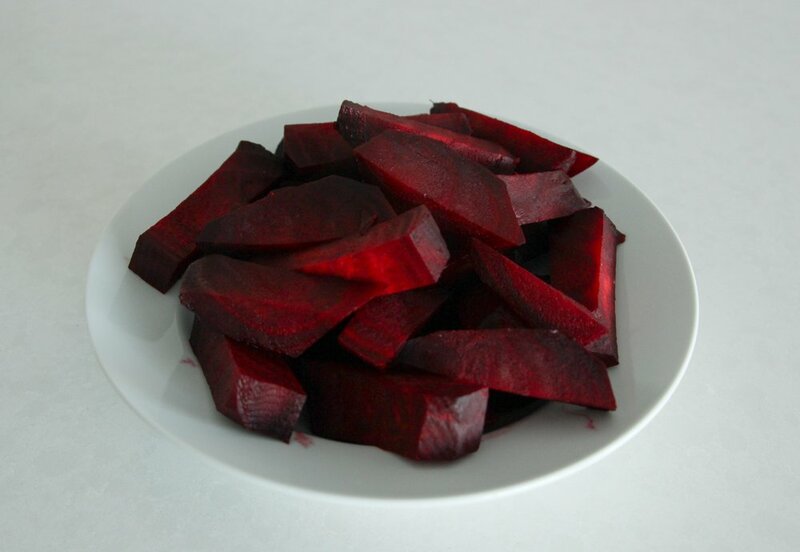 Betaine: nutrient that helps protects cells, proteins, and enzymes from environmental stress. FLAVOR : Although I love beets, the flavor can get a little tiring after a while. In this recipe the beet flavor is just strong enough to know they are there… but not strong enough to make it tiring. CONSISTENCY : Hummus can easily be made too thick and dry or too oily. I think the beets in this recipe really help to add the moisture and eliminates the need to add more oil. Honestly… There is nothing that I didn’t like about this recipe. 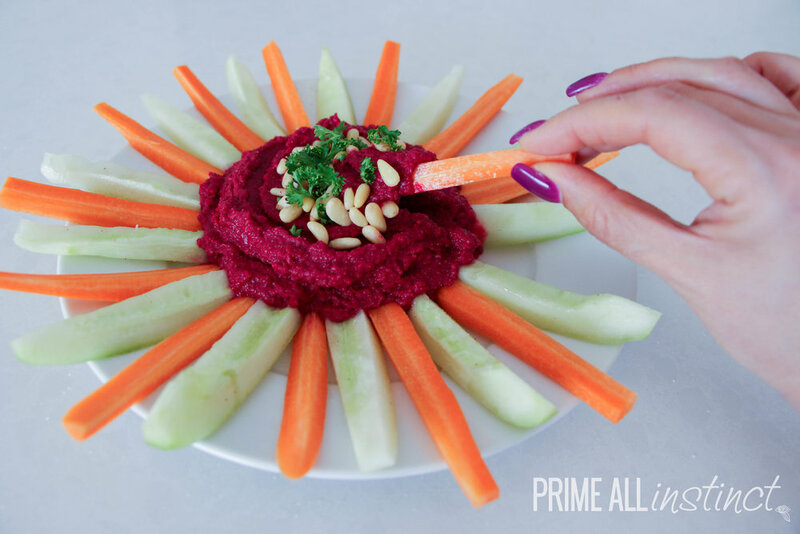 I do think it would be fun to play around with spices and see what flavor combinations can be brought out of this bright fuchsia dip. STEP 2 :Trim the leaves of the beets so that just a bit of stem is left. STEP 3 :Clean and scrub them well. STEP 4 :Wrap each beet individually in foil and roast in the oven for 1 hour. STEP 5 : Once the beets are done roasting, run them under cold water to make them easier to peel. STEP 6 : Peel them then give them a rough chop. STEP 7 : Add all ingredients into the food processor, except for the oil, and puree for 1 to 2 minutes. Scrape the sides and continue pureeing for an additional 30 seconds. STEP 8 : Slowly add the oil while the mixture is processing, adding more as needed, until nice and creamy. STEP 9 : Serve and enjoy! 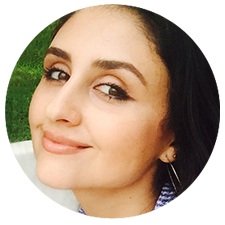 Make sure to check out Kelly’s blog, Eat Yourself Skinny for more delicious recipes!